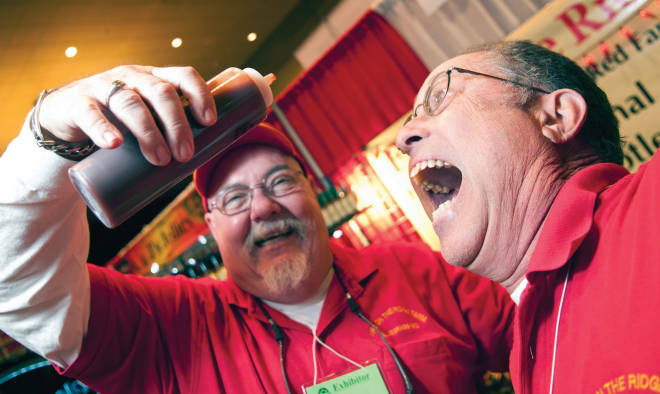 Above: Who&apos;s brave enough to try some of the hottest hot sauces at the Fiery Foods Show? Photography Courtesy Fiery Foods & Barbecue Show / Wes Naman. Hustle your bustle back to the museum on March 23 for the opening of Dressed for the Occasion, an exhibit of antique clothing, from wedding dresses and corsets to button-up boots and fur mufflers. The exhibit focuses on women’s clothing worn from the 1870s to the 1930s, for “everyday,” plus weddings, funerals, and baptisms. Undergarments are included, as well as accessories such as hats and gloves.